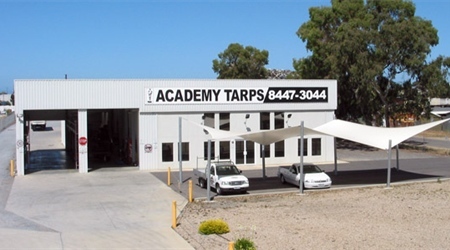 Established 40+ years ago, Academy Tarps is South Australia's oldest and largest specialist fabricator of PVC, canvas, shade cloth and other synthetic products. Academy Tarps is highly regarded by industry peers as a skilled and dedicated team who can be relied on to offer highly competitive and effective custom made cover solutions. Our 9000sqm purpose built office/showroom/factory facility, in the hub of the industrial heartland in Gillman, consolidates the Company’s commitment to excellence. With plenty of space for easy maneuverability for larger vehicles such as B-doubles and road-trains. Completing the blueprint for the way Academy Tarps will service the market with our large automated computer plotting and vacuum cutting table. 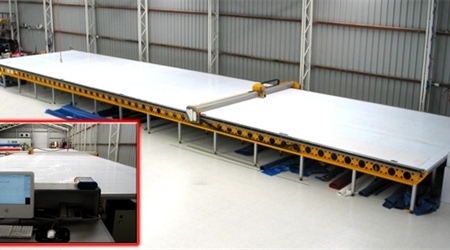 Two years in its planning, it is the largest of its type in SA and will dramatically improve production and efficiency times to allow Academy Tarps to fully meet any future demands. 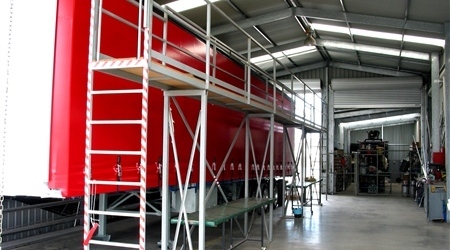 Our ease of access fitting bay allows us to move vehicles in one end and out the other, while providing our team with a safe and efficient work area. Here at Academy Tarps we can proudly claim…….